Have you ever been to your doctor and she asked you to show proof that whatever she injected you with was safe? Weird, wouldn’t you think? A doctor would check that before she introduces a drug into your body, right? And yet this is something that started happening ever since I began warning people about the dangers of glutathione (GSH). Patients have been reading the many horror stories induced by GSH injections in mercury toxic people and have been presenting them to their doctors, asking for an explanation. As a response, some doctors were asking their patients for scientific proof of the dangers of glutathione. So, does it exist? Is there evidence that shows that glutathione can induce dramatic side effects in mercury toxic patients? 1) Numerous reports of often substantial adverse reactions. Reports of adverse reactions are the most common reason why drugs are withdrawn from the market. Every banned drug has been initially approved as safe by the FDA. Drugs are banned not because the company which has been selling the drug for years, all of a sudden decided to fund an expensive study on its safety. Drugs are usually taken off the market because of increased adverse reports from patients and/or doctors, or because of class action law suits. Then, reports of adverse reactions are a valid means to gauge the risk of a given drug. 2) Known contribution of thiols to the development of mercury toxicity. Glutathione is a thiol. Thiols are a type of sulfhydryl (SH, sulfur hydrogen) group. Sulfhydryl groups are everywhere in us. Every cell in our body produces glutathione. Sulfhydryl groups can be found in cysteine, on cell membranes, on red blood cells, in glutathione, methionine and in many other compounds in the human body. Thiol groups are found in all body cells and are indispensable for life(3, 24). Some sulfur-containing antioxidant compounds are cysteine, methionine, taurine, glutathione, lipoic acid, mercaptopropionylglycine, N-acetylcysteine, and the three major organosulfur compounds of Gallic oil (diallyilsulfide, diallyldisulfide and diallyltrisulfide)(3, 10). Proteins constitute the main antioxidant component of serum and their sulfhydryl groups are mainly responsible for their antioxidative effects. In a recent study it was calculated that SH protein groups contribute 52,9% to the measured serum total antioxidant capacity in healthy subjects(17). 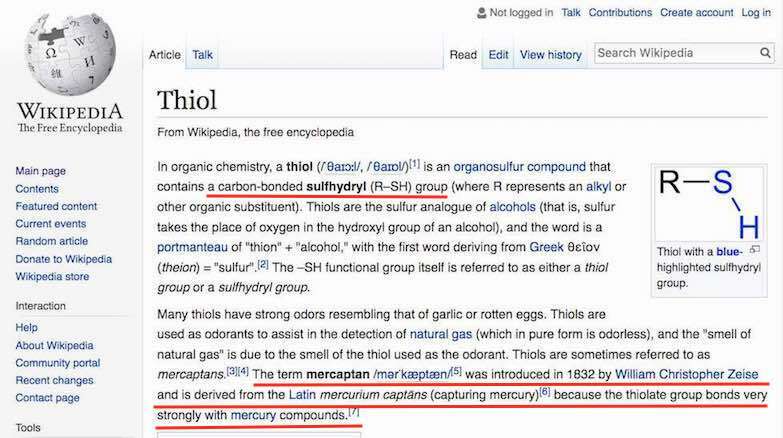 If thiols protected us from mercury toxicity, no one would become sick with mercury. And yet millions of people, do. The underlying mechanism how thiols contribute to the distribution of mercury has been known since 1832, when it was discovered that thiols and mercury like to bond. Since mercury is strongly attracted to sulfhydryl groups, this is the first thing that happens when mercury enters a human body: it attaches itself to thiols. Either to thiols from glutathione, sulfhydryl groups of cysteine or sulfhydryl groups on red blood cells. From then on it is carried throughout the body into such mercury sensitive tissue like brain, adrenals, liver, thyroid, and so on causing a wide range of debilitating and often chronic conditions. It took me less than 30 seconds to find a paper which describes this very mechanism (forget the treatment part, what is relevant is the description how mercury toxicity comes about). This is some basic information about thiols which your doctor should have informed herself about before administering the glutathione IV – instead of asking you, her patient, to check on the safety record of glutathione after the fact. So is there a study? Not that I know of. And there doesn’t need to be to show that glutathione is not safe. Most doctors these days, both conventional and alternative, are completely mercury illiterate. They do not know how to accurately diagnose, or how to safely treat mercury toxicity. Keep this in mind when undergoing any type of metal detoxification program. Mercury is one of the most dangerous toxic metals. Any mobilization needs to happen very cautiously and in accordance with biochemical laws that govern our bodies. The only type of mercury chelation program which respects those is the Andrew Cutler method which uses di-thiols as chelators. Read more about it here. Join the Facebook groups “Ozone, Chelation and Paleo Diet” or “Andy Cutler Chelation Think Tank” to learn more about proper chelation and the dangers of glutathione. Recommended reading: Andrew Cutler’s book “Amalgam Illness”. My husband was about go to an ND for mercury detox/chelation IV’s. They use glutathione, EDTA etc. After reading your info we’ve decided not to go. Am very interested in the A. Cutler protocol, but he doesn’t have hair on his head! What do we do? He has several of the conditions listed where you by Andy’s amalgam illness book, so can we safely assume he has this issue (had fillings for 30 yrs) and just proceed with the DMSA etc. protocol? you do not need to do the hair test in order to be able to start chelating with the Andy Cutler protocol. Does he still have his fillings? If so, they need to be removed *safely* first before you start chelating. This is very important. – Hydrogen peroxide (H2O2) is one of the most ubiquitous molecules in the human body without which our immune system would not work. Yet, when one ingests it in a too high concentration or infuses it via IV in to high appropriate amounts it can kill a person. – Hydrochloric acid (HCl) is produced in every human’s stomach. It is vital for proper digestion. Without it humans can’t get all the nutrients out of food and too low HCl production can lead to a whole range of health problems. But it is highly acidic and corrosive. When ingested in too high amounts or applied topically or in any other way in excessive amounts it can also lead to death. – Around 80% of a human body is made of water. But if ingested in too high amounts or if it enters the wrong organs, it can kill a person. See drowning. So, I am not sure about you, but I see a pattern here. The pattern appears to be that the dosage and type of application is important. Not so much, whether something is being produced by our own bodies or not. I’ve read your blogs and I can say that it’s worth so much its weight in gold, so to speak. I wonder if you can provide me a reputable school for ozone practice here in Asia or in Europe and how much would it cost and the duration of the schooling. I earnestly wish and desires to enroll my daughter-in-law, a Medical Practitioner in Physiotheraphy and my spouse who is an Herbologist and Nutritionist and a RN. Appreciate your kindness and response. Unfortunately, I don’t know of any ozone schools in Asia (or anywhere else). 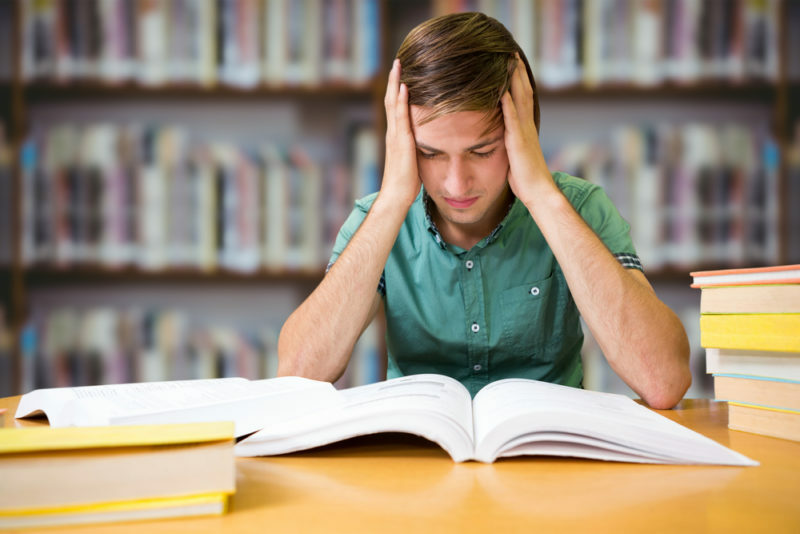 There are only courses offered by various organizations or doctors. I can recommend the 10 days course offered in Nizhny Novgorod, Russia, by Prof. Maslennikov. Write to jaznn@mail.ru or info@ozonmed.ru and tell them you have been referred by me. Very good article… Certainly has you thinking before jumping into taking a particular supplement. I desperately want to take glutathione for certain ailments. From the reviews I’ve read, it sounds Fantastic. Then I read this review which has scared me to death. It is the only real negative review that has you concerned. All other reviews were highly regarded. And I am referring to thousands. Regardless this one was too concerning to ignore. …I desperately want to start taking acetyl glutathione for numerous ailments but Newley diagnosed neuropathy it was suggested for. How would you suggest I rule out if I even have mercury toxicity… I don’t want to do a year of chelation if I don’t even have that issue. I have no silver fillings anymore. Do not eat fish. 1. What is the simplest way to rule out concerns before taking glutathione? 2. Is taking alpha lipoic acid (ALA) carry the same dangers concerns as glutathione?? 3. Would taking NAC (precursor to glutathione) be safer since it is not exogenous? Is it as effective? I appreciate you taking the time to read my concern and hopefully help alleviate my confusion. if you follow the link I provided and that I’m quoting from, you will find a total of 27 negative reviews concerning glutathione. Apart from that you can join any Facebook group which deals with metal chelation and search through their postings and you should find dozens if not hundreds more people who were wrecked by GSH. When you say you’d like to take acetyl-glutathione, I assume you mean orally? If so, this is the most useless form to take it. Glutathione is an enzyme. It will be destroyed in the digestive tract, for sure by the hydrochloric acid in your stomach. What remains is some sulfur. You may as well eat lots of eggs or onions to get the same effect. 1. I don’t know that there is a bulletproof way to rule that out. You may be also one of those people who do great on glutathione. Or one of those whose neuropathy will spike to a 10/10. It’s essentially like playing Russian roulette, in my opinion.